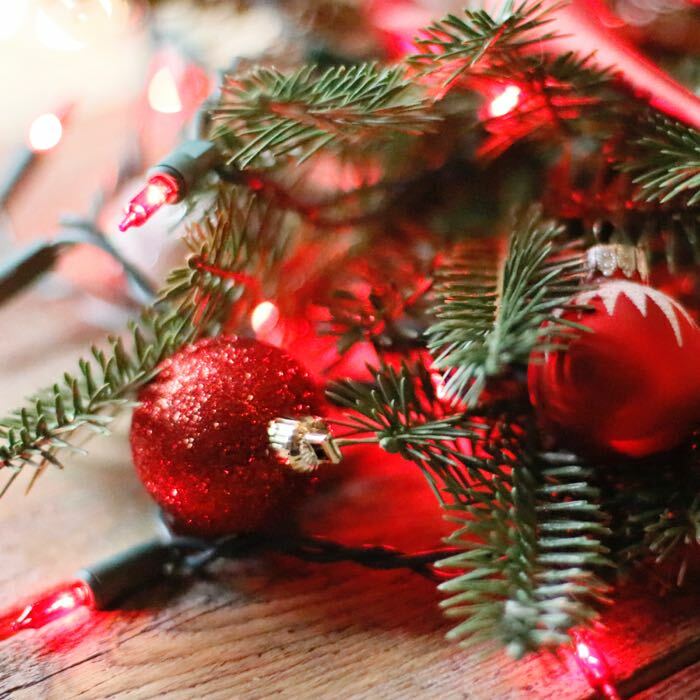 These red mini lights are one of our favorite light choices for year-round applications and parties. 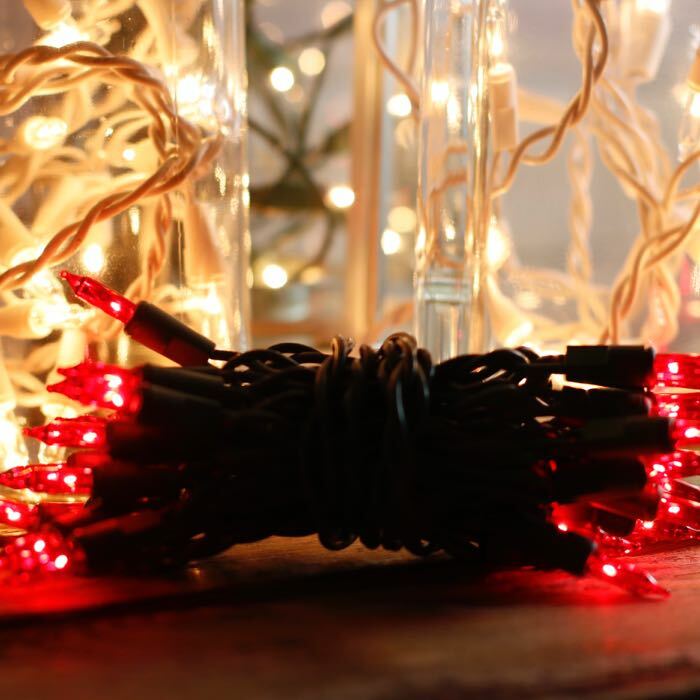 Customers find these 35-bulb light strings, with 8.5 feet of lit length to work well in highlighting signs, wrapping artificial greenery and grapevine wreaths. The 3 inch spacing provides optimum lighting in most applications. 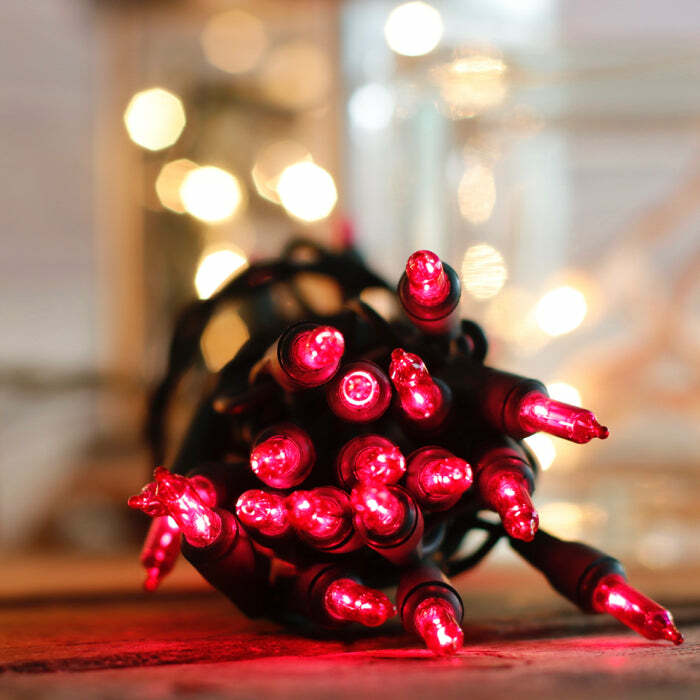 Consider combining red craft lights with other colors of craft lights for birthday parties, graduation dinners as well as spicing up a plain, ordinary meal on Friday night with the family. Each light string is equipped with one male plug attached to a 36-inch lead line. This is a favorite of customers who don't want the hassle of dragging out an extension cord in their projects. How are you bringing light into your life? Send us photos.